New Hampshire’s forests connect us to nature, provide a home for wildlife, bring tourists across our borders and provide a wide variety of forest products to meet our everyday needs. Increasingly, they are also a source of cost-effective and environmentally responsible electricity and heat. New Hampshire’s forests have always been a local and renewable energy resource for its residents. About 8 percent of New Hampshire homes depend on firewood for heat, and many more use it as a supplemental heating source in fireplaces and wood-burning stoves. But as more local governments and commercial building owners discover that wood energy offers significant savings over oil, the use of wood-based heat and hot water systems is on the rise. Across the state, schools, hospitals, libraries, county complexes and other municipal and commercial buildings have converted to wood-based heat and hot water systems, saving millions of dollars each year. Judd Gates, director of facilities, planning and information for the Rockingham County complex in Brentwood, sums up his county’s decision to choose a wood-based system. 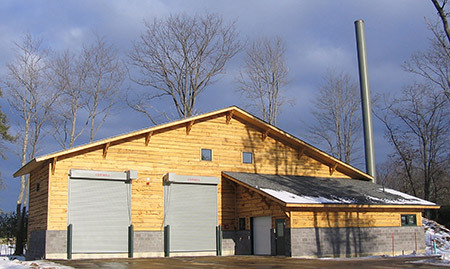 In the Winnisquam Regional School District, Ian Raymond, chair of the Energy Committee of Sanbornton, a NH Wood Energy Council member and a former state representative, was instrumental in developing a plan to convert the heating plant at the town’s regional middle and high school to a wood-based system. The rise in use for heat and power has raised concerns that the state’s forests will be exploited to support wood energy. But private landowners, who control 76 percent of the state’s forests and ultimately control what is harvested, are not likely to let that happen. According to research, timber harvesting is at the bottom of the list when it comes to managing their investments. Furthermore, wood used for energy is relatively low value and therefore not economically feasible to harvest by itself. Most wood utilized for energy is a byproduct of existing logging operations, sawmills and other wood-utilizing manufacturers. The use of wood as an energy source will continue in New Hampshire as the state and the nation explore new energy sources and expand the use of renewables. That’s good news for the state: A 2011 study by UNH Cooperative Extension and the NH Timberland Owners Association estimated the total direct economic impact of New Hampshire’s biomass-producing industry is $72 million. In addition, eight wood-energy power plants across the state provide 8 percent of the state’s electrical needs and serve as an economic engine for many rural communities. Sarah Smith is forest industry specialist for UNH Cooperative Extension. 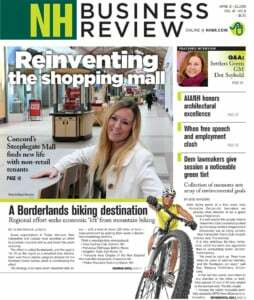 This article is part of a collaboration between UNH Cooperative Extension and NH Business Review.